I heard a dream a few years ago about Florida being on fire. The whole state was charred. My prophetic friend from eastern Florida said, "The Lord took me to the streets of America and I saw all the cities on fire. We have 8 million Moslems in America and when the war breaks out in the Holy Land and when America gets involved 8 million Moslems will burn America to the ground." 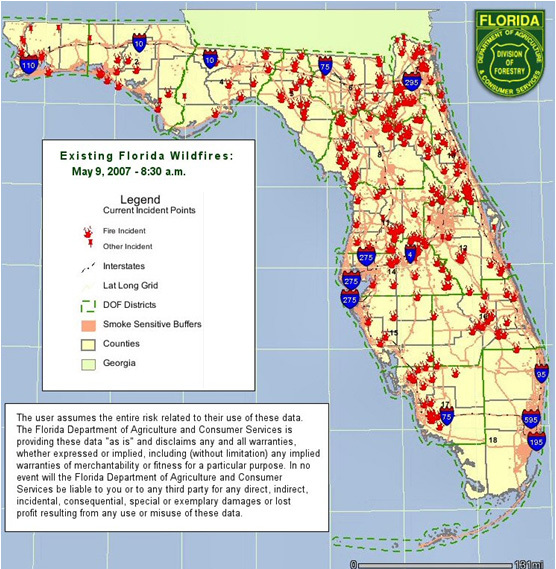 Below is a document from a wildfire report concerning Florida in 2007. Notice the distances between the fires. They didn't start from one another and the news sources reported there was no lightning and they all sprang up very quickly. This makes it clear that they were started. Al-Qaeda has bragged that they would do this. Captured agents have admitted their plans to do this but you will not hear anything from government spokesman.